If you are constructing or have a flat roof building/structure and are planning to put a new roof on it, you’ve most likely heard about roll roofing as an option you should consider. Roll roofing is a method of roofing that commonly uses materials found in most standard shingles. 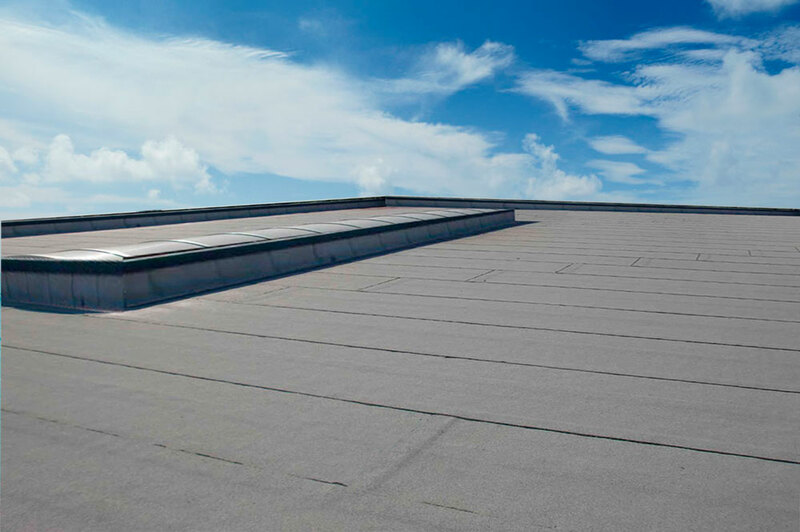 It is specifically designed for use on flat roofs or roofs with slight slopes and typically installed on commercial building roofs, porches, sheds, and home garages or other additions. Roll roofing is designed to help keep water and moisture away from a flat or slightly flat roof. Most types of roll roofing materials are applied directly to a roof deck while others require an adhesive or nailing and fastening to adhere to the surface. Laying roll roofs is easier and faster than using conventional shingles. • An affordable option – Roll roofing materials are more affordable compared to other options such as composite shingles. • Easy to transport and install – Unlike shingles, which are heavy and difficult to carry or install, Roll roofing materials are light in weight and can be mounted on a large roof surface within minutes. They require very minimal expertise to set up and are great for DIY projects. • Versatile color options – Modern roll roof materials come in a wide variety of colors to choose from, allowing you to find an option that matches your home’s exterior décor. • Low durability – Roll roofs have a short lifespan of about five to eight years. Composite shingles, on the other hand, have a lifespan of about 20+ years, making them a better option when it comes to choosing a long service life material. • Affected by expansion and contraction – Unlike shingles, which are a network of loose, interlocking pieces of shingles, roll roofs materials are one big shingle that cannot expand and contract without stressing. • Not the most attractive roofing option – Some homeowner’s associations even prohibit their use in their gated communities. Roll roofing is an inexpensive roofing option that can give your property adequate protection when installing correctly. Contact us today to learn more about roll roofs!